Montebello Mom: This is a little kid play area, it's not intended for big kids. This is a little kid play area, it's not intended for big kids. 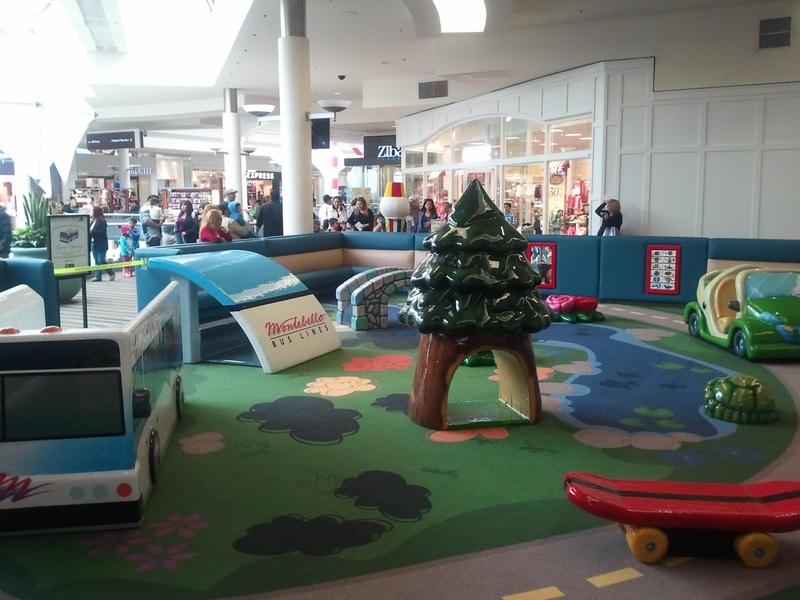 The play area at the mall. 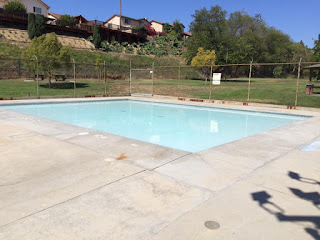 The one-foot deep wading pool at the park. The small play area at Smith Park. 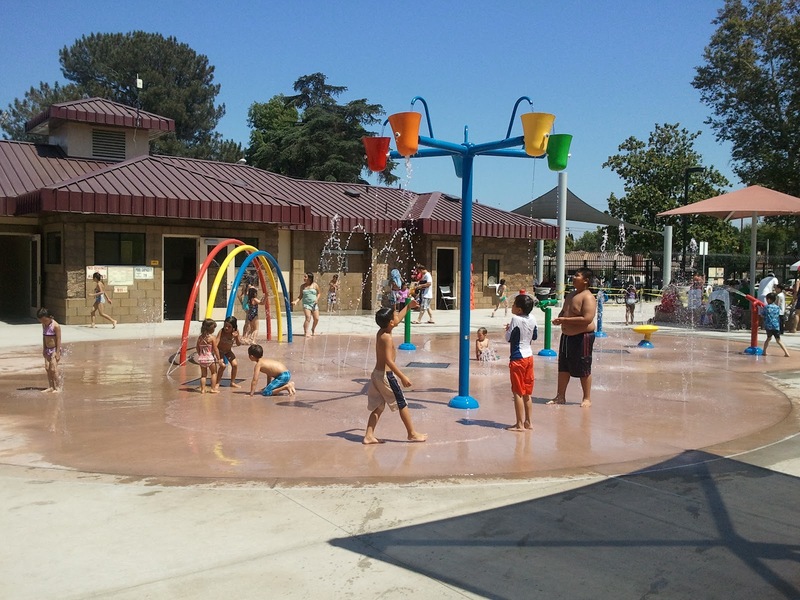 The splash pad at Splash Zone. These areas are intended for little kids to have fun. For the crawling babies to preschoolers. 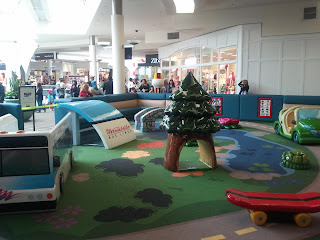 Shops at Montebello play area. There aren't many places reserved just for kids in that age range, but once a big kid enters the mix, it's guaranteed a little one is going down. My youngest is seven, and pretty small for her age, so she's able to get away with enjoying her last moments playing in these areas, but she has been knocked down by so many kids she commonly runs away from big kids who look like they might play rough. Kids of all ages can play, but big kids need to be aware of little ones toddling about. I cannot even guess at the number of times I've pulled my kids out of a play area, or not entered a play area because big kids were running around. I only let my older kids play in these play areas if it's empty and when I do I tell them, "This is a little kid play area. It's not intended for big kids. I am only allowing you to play here because it is empty (or almost empty). You cannot run around like crazy. Stay calm and walk to where you want to go. Steer clear of anywhere the little kids and babies are playing." Yesterday I was at the Elder Park wading pool with my youngest. A dad was enjoying the one-foot deep pool with his two young daughters. 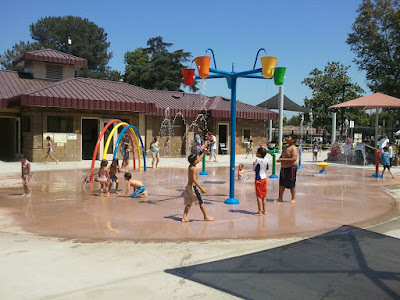 After a few minutes his three older kids came running up to the pool, jumped in, made waves, and splashed water everywhere. My jaw dropped in amazement as I overheard him giving his big kids nearly the exact same speech as I give my kids. 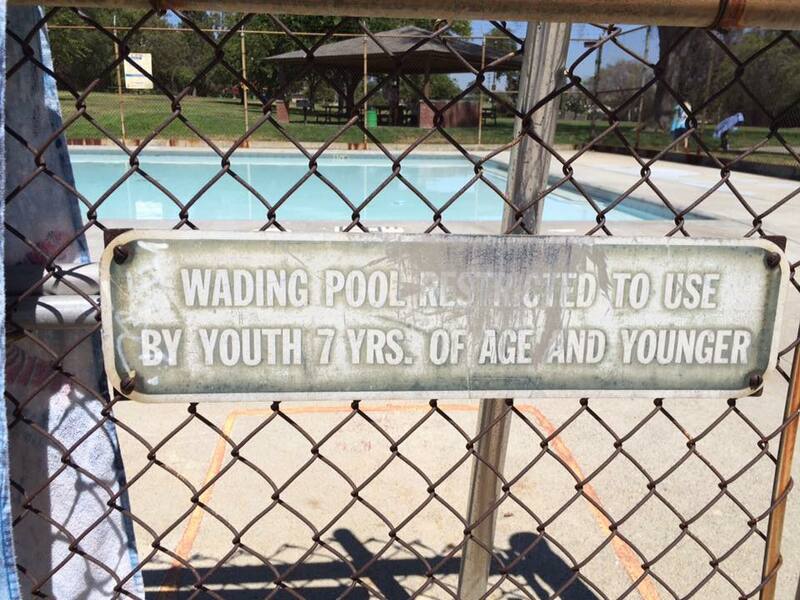 When his big kids didn't listen he kicked them out and told them to play in the big pool. I thanked him and I'm sure all the moms of the toddlers enjoying the pool secretly thanked him too. Please, do your part: keep little kid play areas little kid friendly. Have your big kids sit it out.